The Aburrá Valley region has pursued a number of sustainability projects in recent years in areas including air decontamination and an integrated mass transit system. 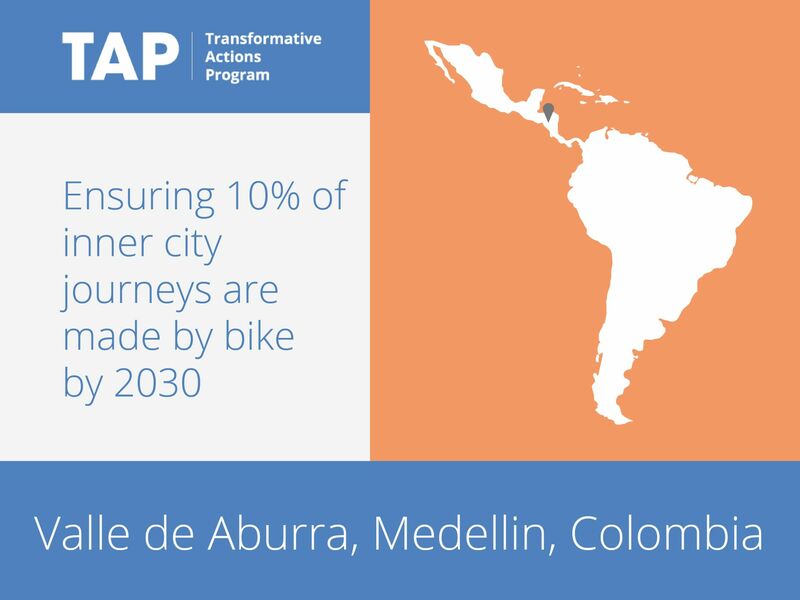 It has now adopted a mobility master plan, which includes a vision to ensure that by 2030, 10 percent of all trips in the region are made by bicycle. To achieve this vision, the region will construct 441 kilometers of bike paths by 2030, install more than 2,500 bicycle parking spaces, expand the public bike sharing system with an additional 300 to 400 stations, and promote the use of bicycles through education initiatives.